Menopause is a normal physiological transition in woman’s life that usually occurs between the ages of 48 to 55 and lasts from 6 to 12 months. As it signifies the cessation of a woman’s ability to reproduce TCM calls its symptoms simply “menstrual cycle ending symptoms”. “TCM sees menopause as a deep energy shift that extends beyond physical changes. It’s a natural and normal part of a woman’s life, yet it has the power to affect her mind, emotions and spirit. Menopause is an energy gateway—a unique chance for a woman to prepare her body, mind and spirit for a healthy, long life. It’s a time when she can heal, strengthen herself, and balance and harmonise her energies. Menopause creates the opportunity for a transformation, a new beginning, as a woman becomes free to discover, pursue or complete her life’s mission and touch her spirit—and the spirits of those around her—in a profound and meaningful “. Menopause symptoms can vary and are brought by a decline and weakening of the Kidney Essence in Yin and Yang aspects. As we grow older Yin energy is depleting due to: giving birth, stress, working long hours without adequate rest, caring for others, irregular diet, grief and illnesses. One of the major causes of menopause symptoms is emotional stress, which has often built up over time before the onset of menopause. Worry, anxiety, fear and stress are all to be blamed. That’s why it’s so important to have a harmonious lifestyle and learn how to calm mind and relax throughout life. When Yin is deficient there is too much heat and not enough of fluid to nourish the body, hence the appearance of hot flushes, thirst and constipation. When Yang is deficient there is an abundance of fluids and lack of warmth in the body, which leads to swelling in the lower legs and frequent urination. It’s very common for women to have a combination of Yin and Yang deficiency. Also, imbalances in the Liver and Spleen organs (Liver Yin deficiency or Spleen Blood deficiency), can lead to women experiencing menopause symptoms. If a woman is healthy, meaning her body is in balance, her menstruation is regular and pain free. However, if she is in poor health and her internal energy (Qi) is out of balance or is deficient, she may suffer from many menstrual symptoms like: premenstrual syndrome (PMS), painful periods, irregular periods, cramping, breast tenderness, headaches and/or fever during cramps. Ladies who frequently experience above menstrual symptoms most likely will have menopausal symptoms when they reach the age when their cycle begins to end or stops completely. Reason being – their bodies are out of balance and their energy has declined. So is there anything that can be done to restore the balance? Absolutely! Women can learn to rebalance their bodies and increase their energy. Chinese Medicine treats menopausal problems using acupuncture and/or herbs by tonifying and balancing the Kidney energy. Treatment focuses on nourishing, moistening and cooling the body, helping to balance the body to alleviate the menopause symptoms. This is done by strengthening Kidney energy, building up fluids and restoring balance in the body by increasing the Qi. In my practice, once I establish the individual causes of patient’s menopausal symptoms, I give advice on specific diet, lifestyle and exercise choices that would benefit you most. Since the early seventies, studies around the globe have proven that acupuncture and Chinese herbs are effective in treating hot flashed, insomnia, vaginal dryness, anxiety and other symptoms of menopause. 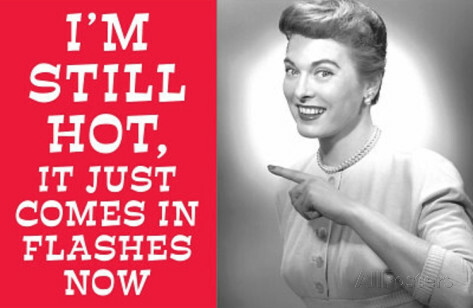 From 1997 to 1999, one of the first studies in the United States to explore the effectiveness of acupuncture in alleviating hot flashes, insomnia and nervousness, conducted by Dr. Susan Cohen showed extremely positive results. It found that hot flashes decreased by 35% and insomnia decreased by 50% among the patients receiving the course of acupuncture treatments. A follow-up study revealed hot flashes significantly decreased in those receiving acupuncture, compared to those receiving routine care. Check my post on Rose Buds to find out how this powerful herbs can help you elevate menopause symptoms!